I’m pretty sure it was about 5 years ago that the words I’m going to make my own almond milk came out of my mouth. 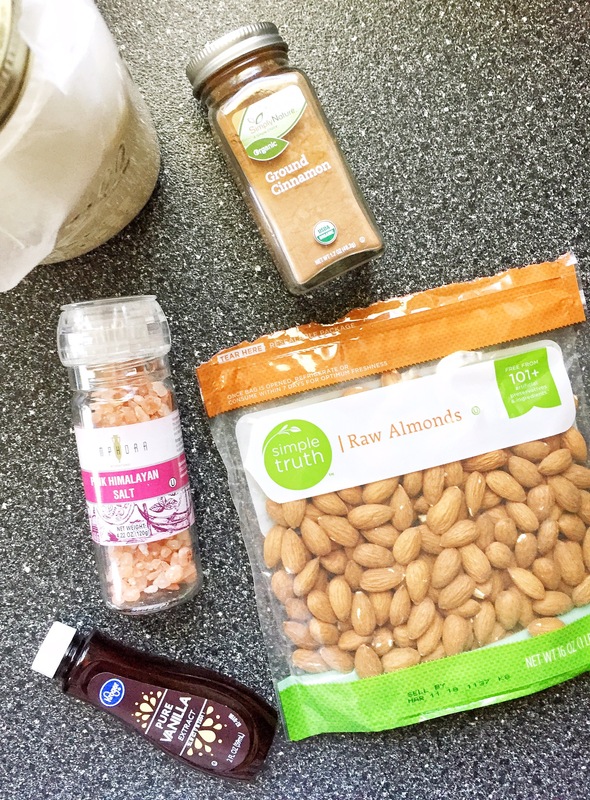 And then Califa Farms almond milk came to my local Kroger so I felt no need to make my own because I trusted their ingredients. I don’t like buying silk or diamond breeze, I’ve heard some not great things about those brands so Califa Farms for the win. Then the saddest grocery shopping day happened- no more C.F. almond milk 😢 (side note: they still have Califa Farms coffee creamer.. score!!). ive years later, I made my own almond milk!! It was literally the easiest thing ever to do (I was a little messy but still so simple). Had I realized it was this easy, I would have actually started making my a while ago instead of buying a brand for months that I didn’t love (diamond breeze..). After soaking my raw almonds for almost 24 hours in water, I drained them and throw them in my blender with 6.5 cups of filtered water. Then blended the two for about 2-3 minutes. < i>Look at that froth 😍😍😍!!!! After blending I strained the milk through a cheese cloth into a bowl and then put the milk from the bowl back into the blender. You’ll notice almond pulp in your cheese cloth after straining and you can actually make your own almond flour with that, I was too lazy and didn’t do that but I may try to next time! 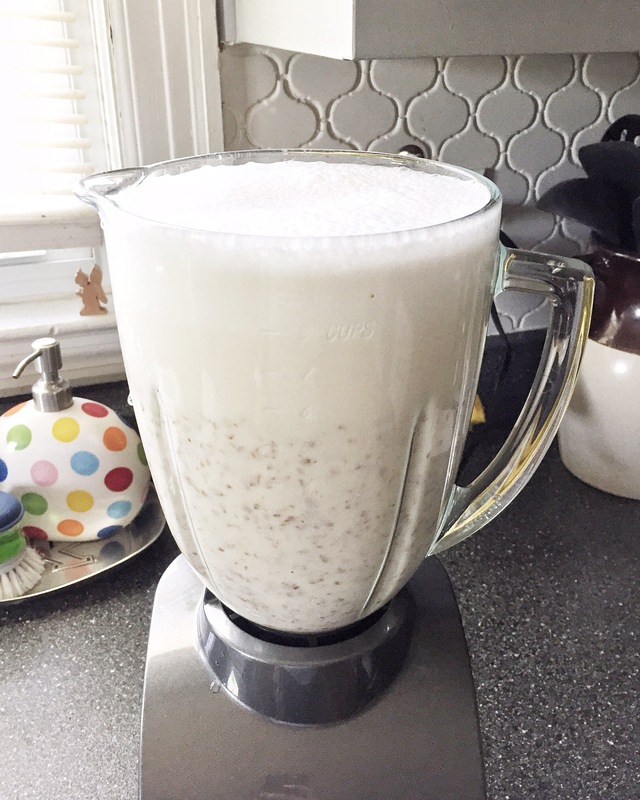 Once the milk is back in the blender you can add the flavorings you want to the mix. I added pure vanilla, cinnamon and pink Himalayan sea salt. 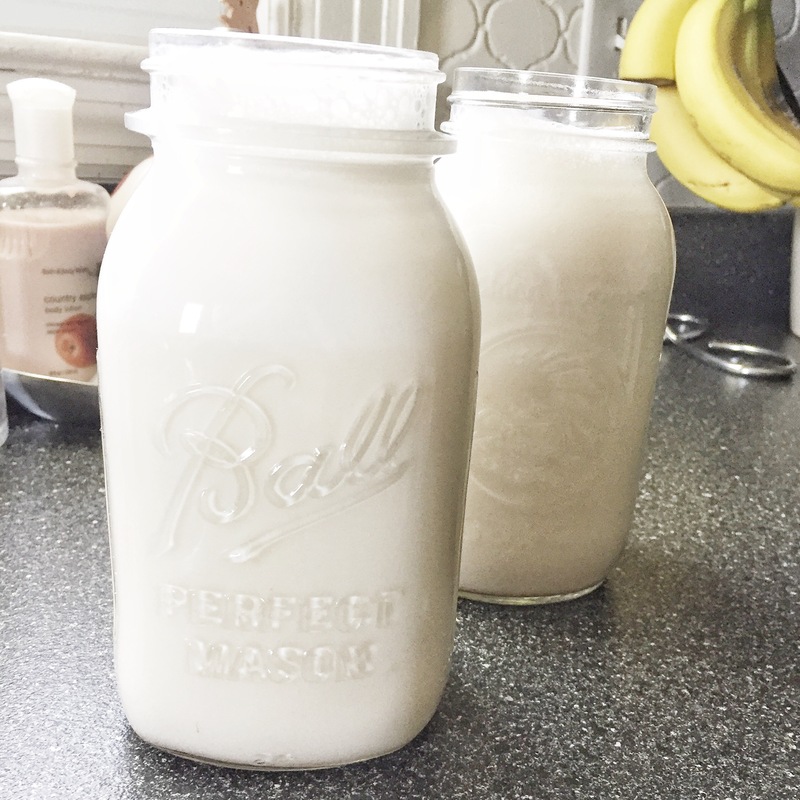 Blended and then poured my milk into two quart sized mason jars. You can store your milk in the fridge for 5-6 days. And that my friends is how I made my own almond milk. 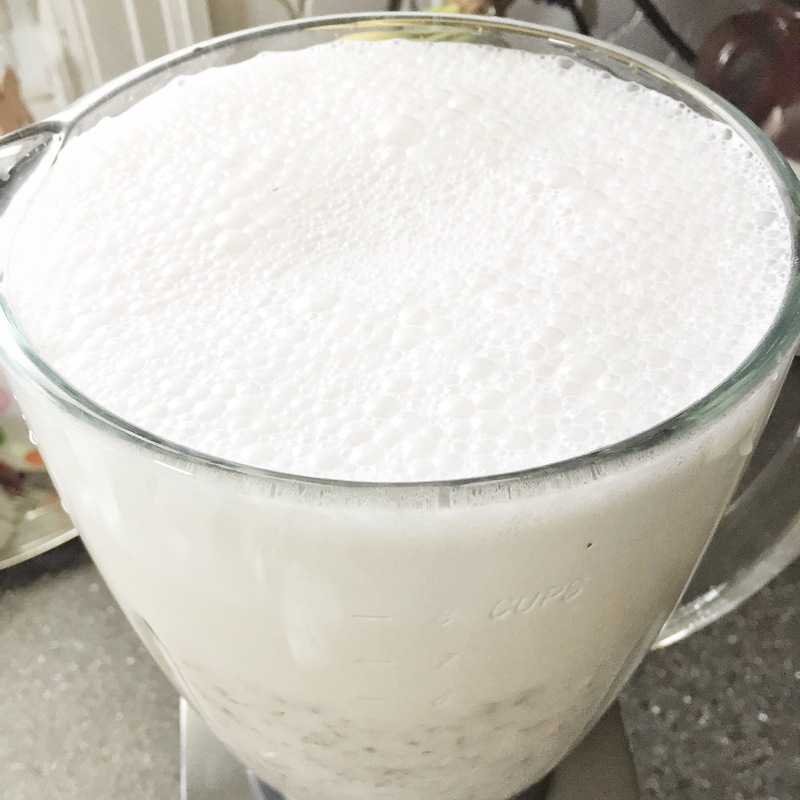 Next on my list of homemade milks will be hemp seed milk! Hope you guys have an amazing weekend and if you try making your own milk, please let me know how it turns out! How much of each do you use?